Life is funny, and it sure gets in the way. My kids—two are already grown up and the other two are suddenly almost there. My younger son just got his acceptance letter from his first choice college—and an early admission at that. Now, it’s kind of hard to chastise him for not taking out the recycling. My daughter is a few years younger, but also a great student (My grades were never that god), musician (I was never first chair bassoon), and athlete (let’s not even go there). However, after her last birthday she seems to believe it’s necessary to remind me every 15 minutes or so that in in a few months she’ll start driving. Naturally I’m proud of both of them, but I wonder, if I hadn’t blinked would they have grown up so fast? Thankfully I have a Sherpa guide who has looked out for the kids and advised me. I’m speaking of my wife, of course. This is a challenge for her, I’m sure. 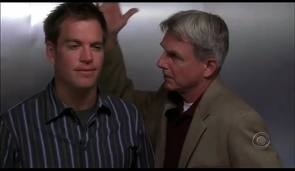 She hasn’t had to resort to the Gibb’s slap on the back of DiNozzo’s head yet (for the benefit of NCIS fans) but it’s not because I don’t need a >HINT< from time to time. So, thanks to her, even though I’m sports impaired, I’ve been a soccer dad, in spite of myself, which makes a world of difference to my kids. However, in all fairness, I’ve done just fine as the science, music and school project parent. If I haven’t been blogging as much as I should, lately, it’s because life has gotten in the way, and the people who are special to me—well, you know. This entry was posted in Blog, Culture, Education, Family, Future, People, Philosophy. Bookmark the permalink.